I am not a smoker but I used to be. E-cigs weren’t “a thing” when I was a smoker. One thing that never occurred to me is that nicotine might also harm my pets, and now it’s concentrated nicotine in these vapour or e-cigs then it’s all the potency of a few packets in one single cigarette sized tube of doggy poison. 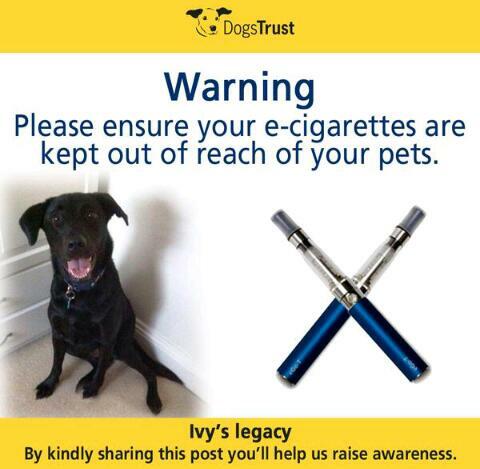 Following reports that a puppy in Cornwall has died after biting into an e-cigarette refill, vets are warning pet owners to ensure they are kept out of reach of animals.Nicotine poisoning acts very quickly and can be fatal, especially when large doses are involved. E-cigarettes and refills can easily contain sufficient quantities of nicotine to kill a small animal very quickly.If you use e-cigarettes, we recommend storing all equipment safely out of reach of your pet. If you suspect your pet has chewed or eaten an e-cigarette or any toxic substance then it is vital that you contact a vet for treatment as quickly as possible. Please do read more from the dogs trust about things that are poisonous to dogs. I think Ivy’s family had no idea an e-cig could kill her. I suspect that many people wouldn’t have guessed it could kill a woofer, I myself wouldn’t have thought it was deadly, not healthy, not good, but deadly? It never crossed my mind. E-Cigarettes: Fresh Air or Smoke and Mirrors? Wow, thank you for sharing such valuable information. I don’t use these but gotta protect all of those innocent puppies out there. Christy Garrett @ Uplifting Families recently wrote… Update on My Daughter’s New Cochlear Implant. Thank you for sharing the story – it’s not something I would have thought of either. 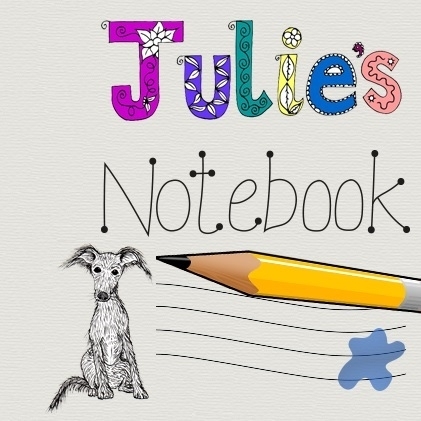 Lauranne recently wrote… I’m back here again. I read this in the Metro the other day – really sad and worrying. Dangerous for children too.